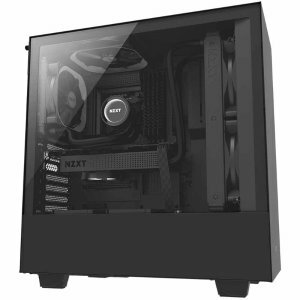 Fry's offers the NZXT H500 Matte Black Mid Tower Tempered Glass Case for $59.99. Features: The H500 showcases the signature design of the NZXT H Series cases. The elegant all-steel construction includes the iconic cable management system to streamline building and upgrading your system. You can easily build a powerful system with plenty of options for storage and cooling.